Happy Christmas Eve! It’s almost here. Only one more sleep until Christmas. 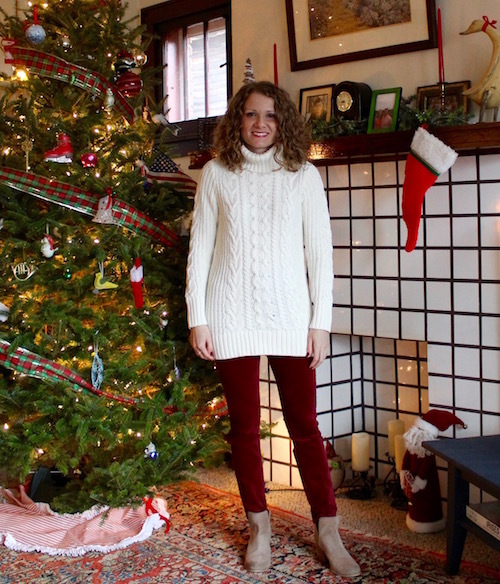 Today I’m wearing these red velvet legging pants that I got on sale at Gap Factory for under $25. They feel like the perfect festive touch for a day that will be spent finishing wrapping presents and attending Christmas Eve mass where my mom will be singing. Now I just need to decide which Christmas movie to watch tonight. The Grinch? Christmas Vacation? Rudolph? What’s your favorite? I hope you have a very merry Christmas with your family and friends and find something wonderfully fashionable under the tree. Merry Christmas! Wow! Just like that Christmas is almost here. 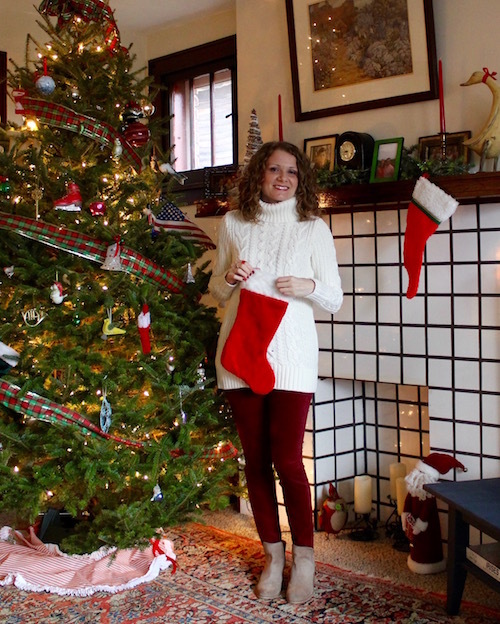 Along with last-minute shopping, wrapping, and eating lots of cookies, I am trying to finish up a few things at work so I can enjoy a nice, relaxing vacation at home with my family in Cleveland. 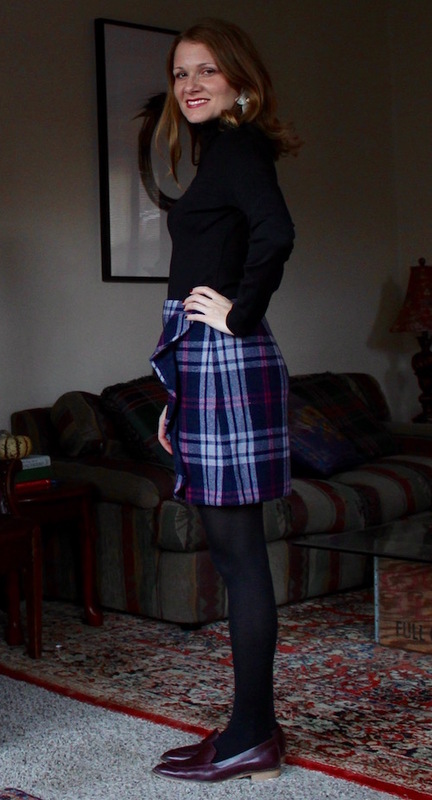 But before I hang up my loafers for slippers, I wanted to share this pretty plaid skirt I found for work. 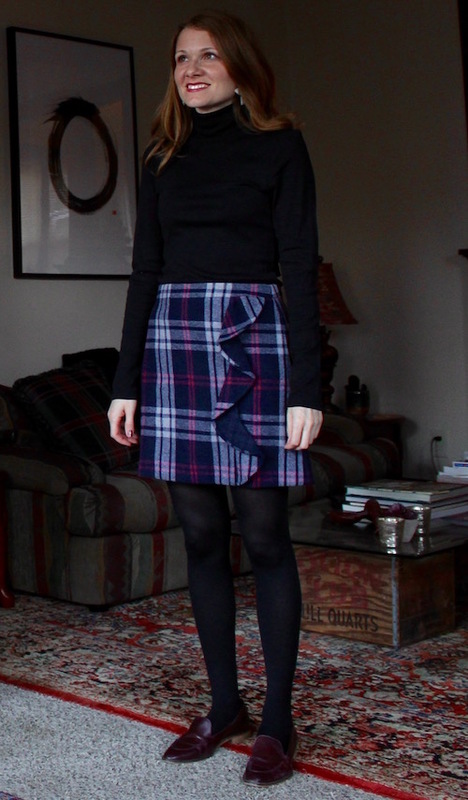 It can be so hard to look cute in the office during the cold, gray winter months, but a fun skirt in a bold pattern like this one can really brighten up those dreary days. 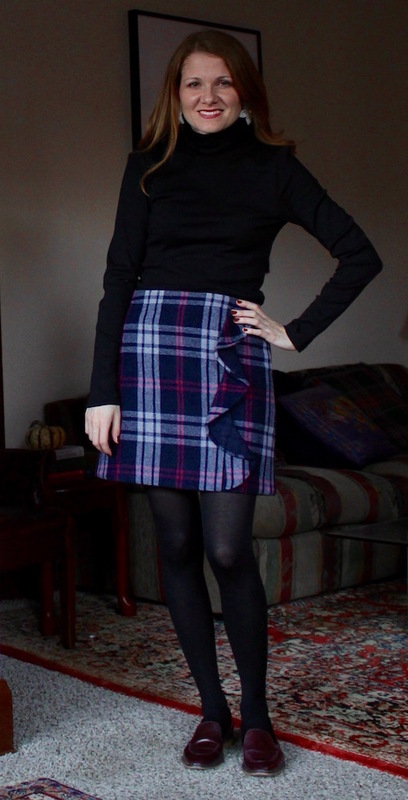 Here I’m wearing it with a black turtleneck, but I could totally see this working with a pink or navy sweater or button down. The ruffle detail is the icing on the cake. What have you been wearing to the office lately? I hope you’re winding down for the year and get to celebrate the holidays with friends and family very soon! We are officially in the thick of it! Parties, cookie exchanges, and white elephants galore! We’ve already been to a few parties so far and have a few more to go. 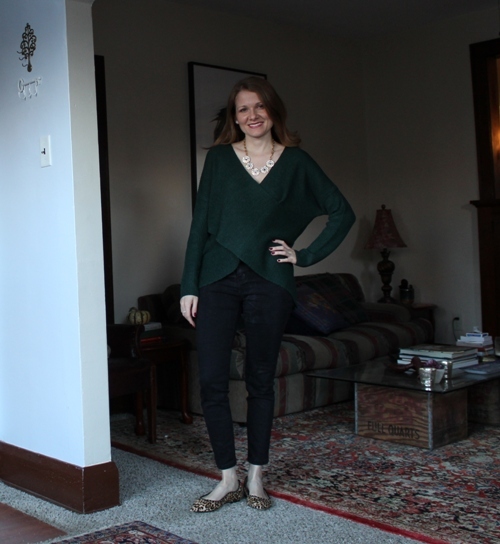 For a lot of these gatherings, I’m excited to say I’ve found the perfect low-key yet chic green sweater. 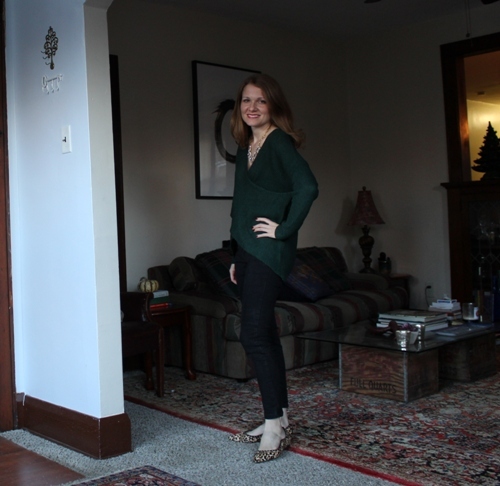 It’s a wrap style that has the most romantic v-neck and is in the perfect shade of dark green. 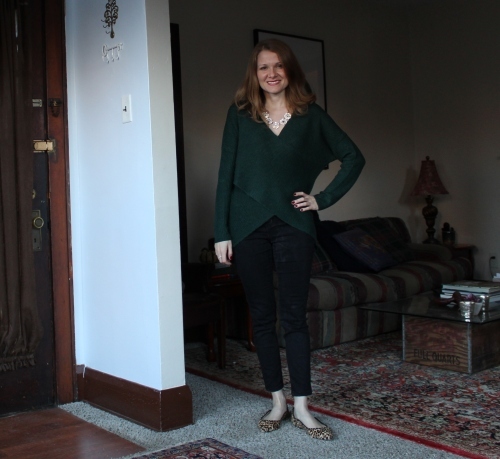 I’ve paired it with black jeans to match its sophisticated look and added pops of interest with my leopard print flats and glitzy necklace. 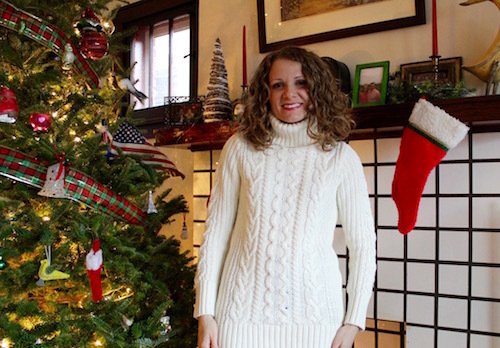 In addition to being super stylish, it’s really cozy and I can’t wait to wear it for Christmas and beyond. 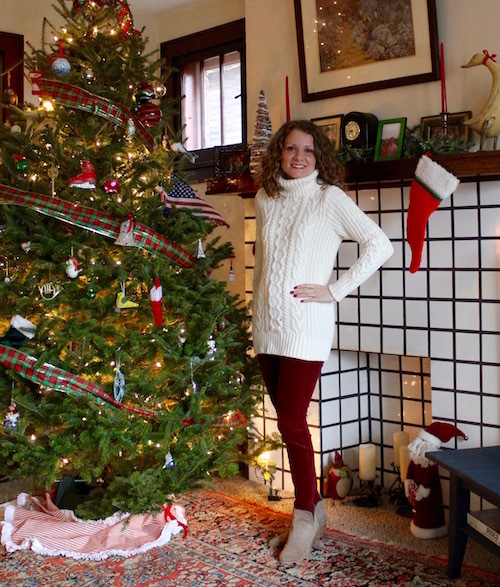 What are you wearing to your holiday shindigs? Are you a morning person? I am. Most mornings I’m out the door before the sun rises to get the gym. I like to get my workout in before I start the day. It helps me feel like I can really tackle the rest of my day without distraction and with an extra boost of energy. This routine becomes much more difficult in the winter months, as I’m sure you can imagine. It’s never harder to find the motivation to go to the gym. 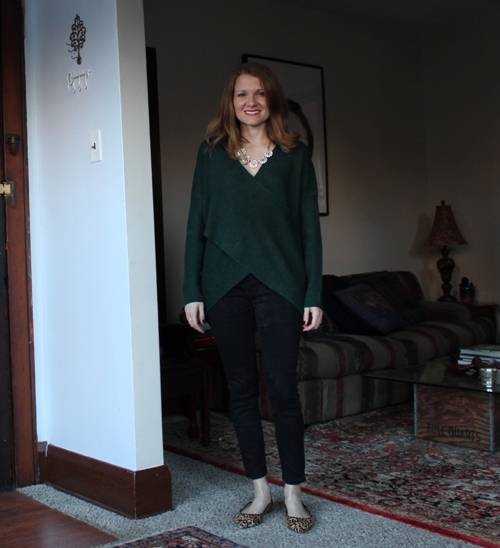 That’s why I was on the hunt for a pair of sweatpants that are both warm and stylish. I’ve found them, and it’s safe to say that I’m obsessed with these pants. 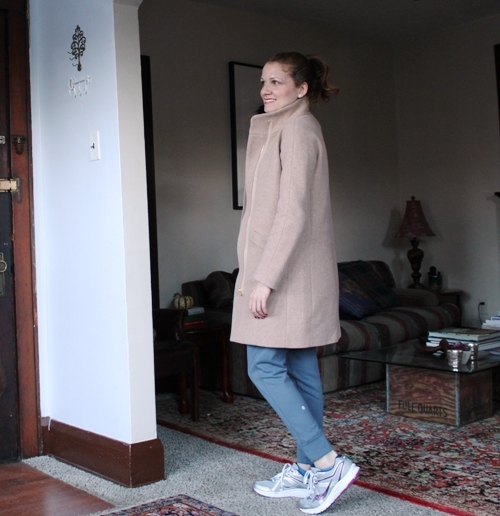 The brushed fleece makes them so soft and warm, and I love the jogger style. 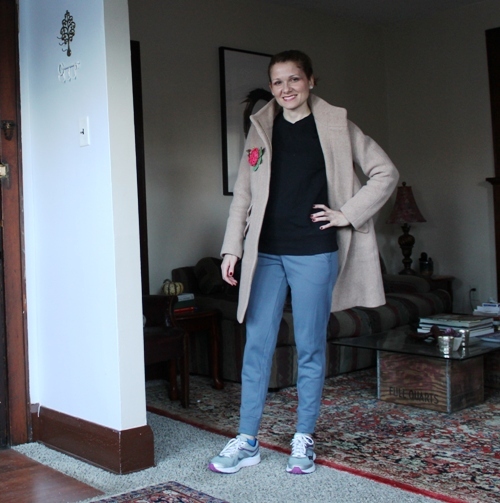 It’s a much more current look than your typical sweatpants, especially paired with a sophisticated coat like this one. 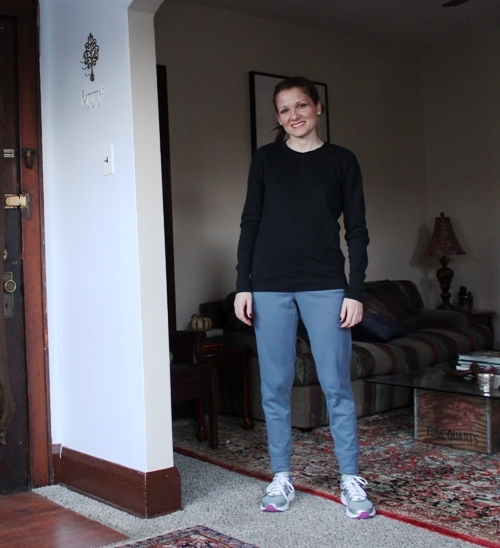 Getting up to go to the gym in the morning will still be hard, but a little less daunting now that I have these pants. What do you wear to the gym? Does what you wear help you stay motivated?